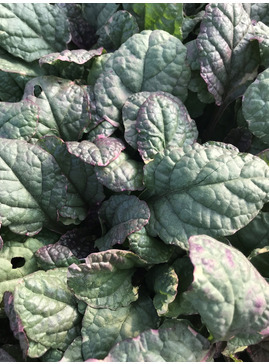 Spreading rosettes of fleshy rounded evergreen leaves. 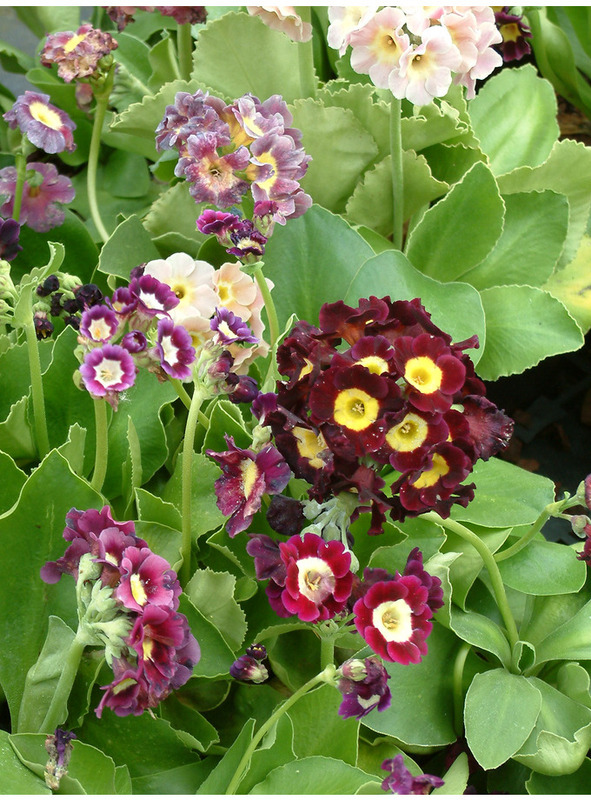 Flowers spring, in a range of colours from deep chocolate, maroon, lilac, yellow and pinks. All having lighter yellow centres. 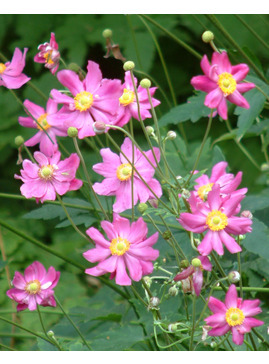 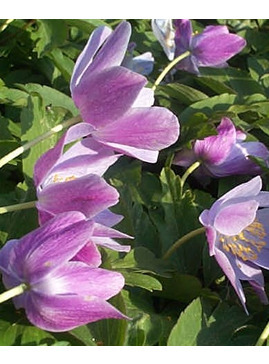 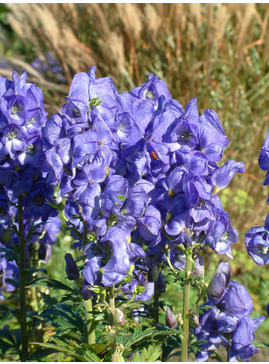 Grow in a rock garden or border edge in sun or part-shade.